It’s probably about time that I update the Quest. The bad news is I’m finding it harder to keep up posting here regularly. I busted my self-imposed goal of one post a week. Again. The good news is why I’m taking longer to post; I’ve been busy learning for my new job with a fairly young software development company. It turns out that my previous background coupled with the programming and networking courses I started taking a few months ago have made me into an attractive hybrid (except without the tax benefits and lower emissions). The company that hired me doesn’t build games, but the role I’ve been brought on to fill gives me plenty of opportunity to learn about development and work on some of my technical skills. If all you care about is reading about my personal life, you can probably stop here. Anyone else who likes or is curious about games, feel free to keep going. 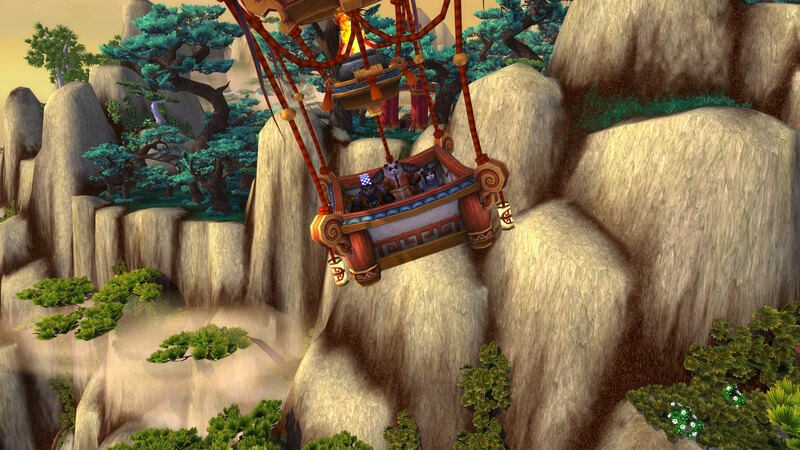 I wrote last week(ish) about some of my thoughts about the next WoW expansion and its implications on the future of mobile gaming. If you actually made it to the end of the post, you probably noticed I said I was not in the beta. Now I am. This past weekend, I was a part of the 300,000+ annual pass holders who were tossed an invite to the beta. My lovely and talented girlfriend / editor was kind enough to grant me several hours of play time despite my having been away all week on business for my new job. It would be criminal to waste that gift and not share some of my experience in the beta with you all. Spoiler Alert: There are Pandas. Everywhere. 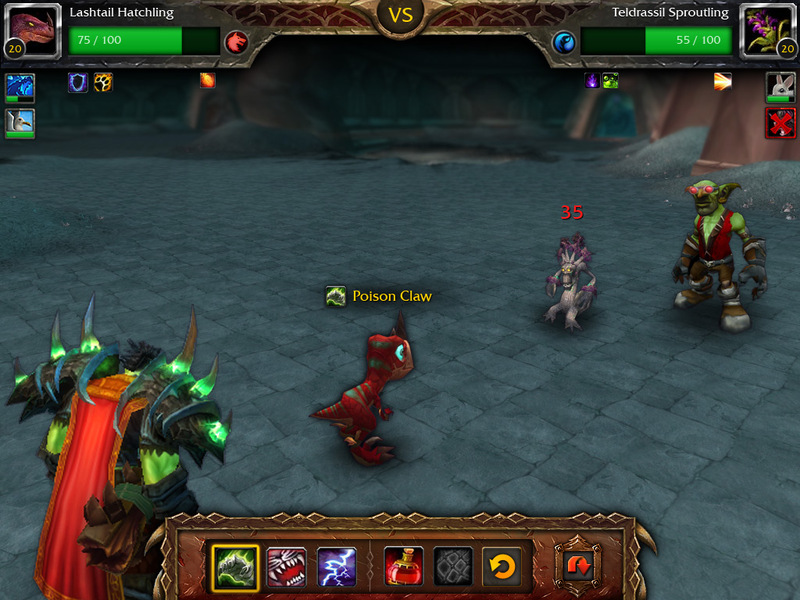 Many of the new features I’m excited to see in the expansion, like pet battles, are not yet implemented on the beta servers. 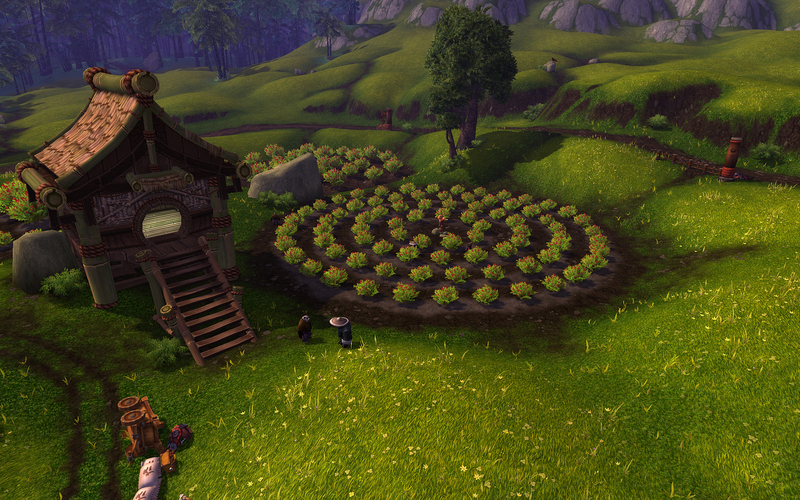 Much of the new class and race content is available, however, and I decided to make the most of it by trying out the games newest class and race: the Pandaren monk. After making my new character, less-than-cleverly and more-than-hastily named Rollshambo, I logged into the server and was confronted by a sea of black and white fur. 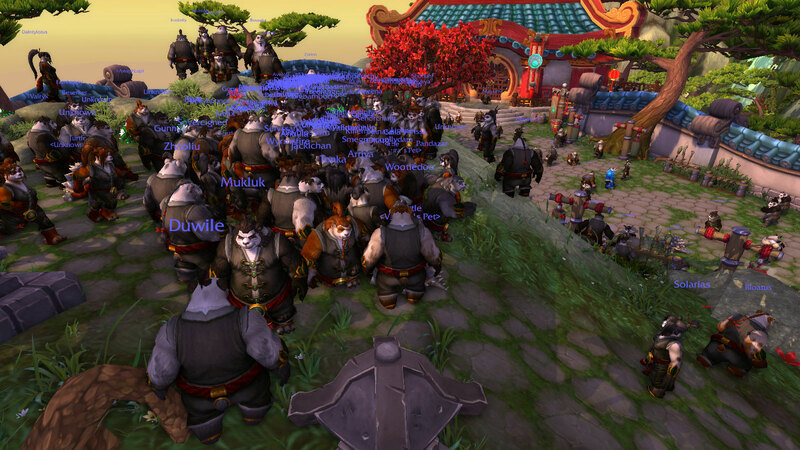 It turns out that the other 299,999 invitees also decided to make pandas. While it made the initial experience a little frustrating, I took it in stride and eventually got past some of the early bottleneck and out into the world. 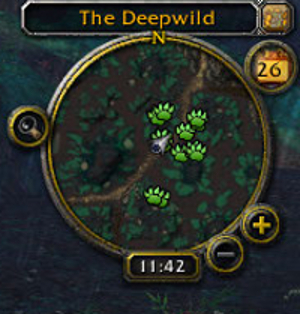 I was able to play most of this content at Blizzcon 2011 anyway, so I don’t feel like I missed much by rushing through the area. That is not meant to diminish the content, however. The new quests and objectives are quite amusing, especially when you get to enjoy minor bugs that result in sweet headgear like this. Online games usually demand teamwork between players to complete objectives, so support roles often end up being simultaneously the most in demand and the least played in the game. Consequently, I usually end up playing one of them. 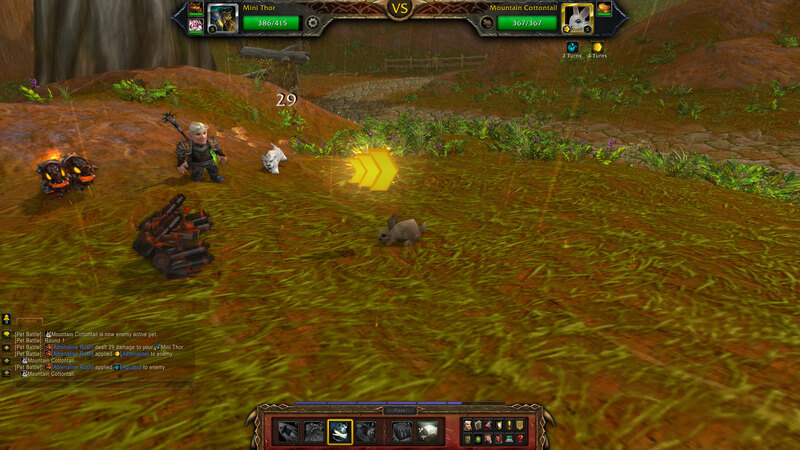 This was my experience playing a healer almost exclusively in World of Warcraft over the past few years. However, doing anything for several years will make anything seem monotonous eventually, so Blizzard’s promise to give the monk a new healing style emphasizing an interactive melee experience piques my interest. 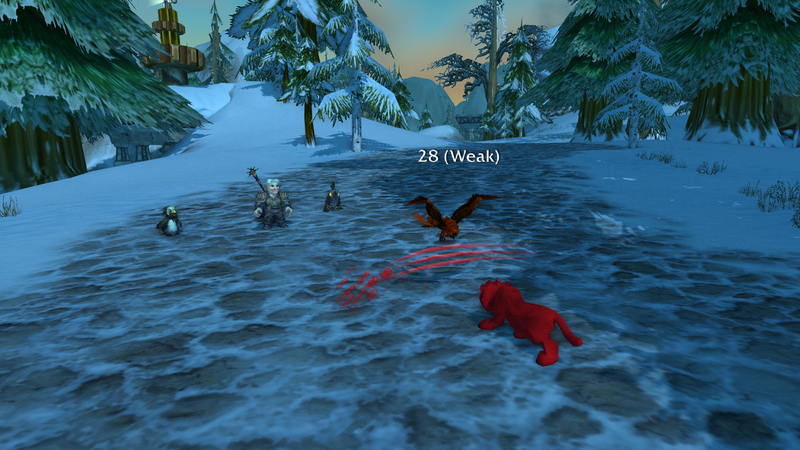 I chose the healing specialization, the Mistweaver, at level 10 and worked my way to level 25 over the weekend. While I only have two healing spells by that point, both function differently than almost any other heals I’ve used on other characters, resulting in a unique experience even at this low level of play. Only time and testing will tell if Blizzard can deliver on the hype of the class, but so far I like what I see. 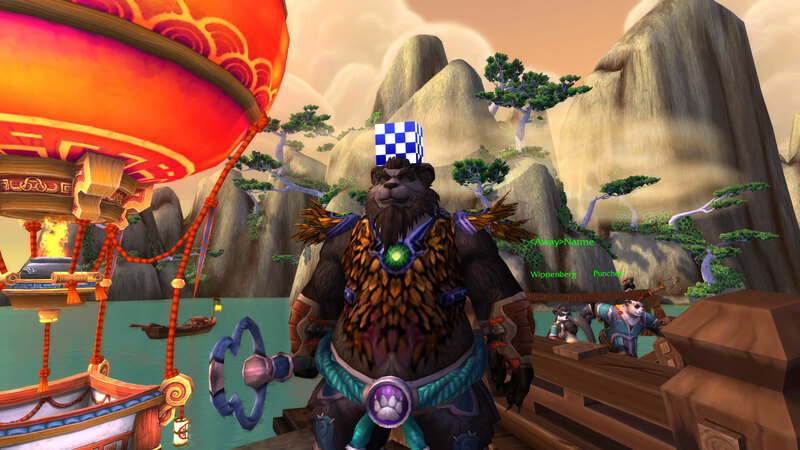 In the meantime, I will be enjoying the fact that I have two new hats to wear: novice software developer at work and novice bug “unintended feature” reporter in the Mists of Pandaria beta. My new job has 100% less balloon rides than this screenshot.